Developed with one of the great Las Vegas Developers, Mark L. Fine & Associates. 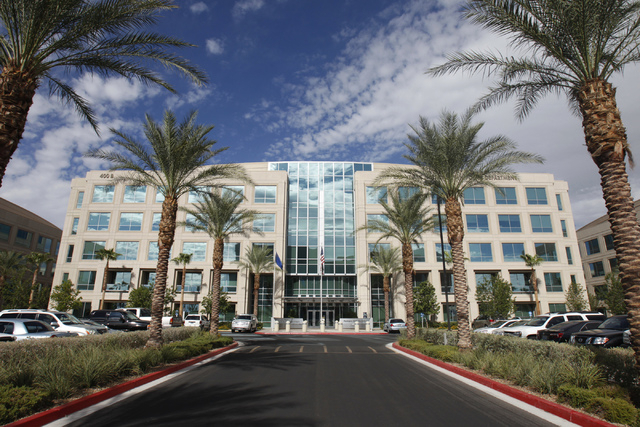 The Las Vegas Metropolitan Police Department’s new headquarters, which was occupied in July 2011. The 390,000 sf project included two four-story buildings and one five-story building with 2,185 parking spaces, most found in a five-level parking garage. This was built for approximately 1,400 Las Vegas Metropolitan Police Department employees. Gold Spike is a bar, lounge, residential building, and former boutique 112-room, seven floor hotel. It is connected with the Oasis at the Gold Spike, a 50-room three floor hotel located in downtown Las Vegas.